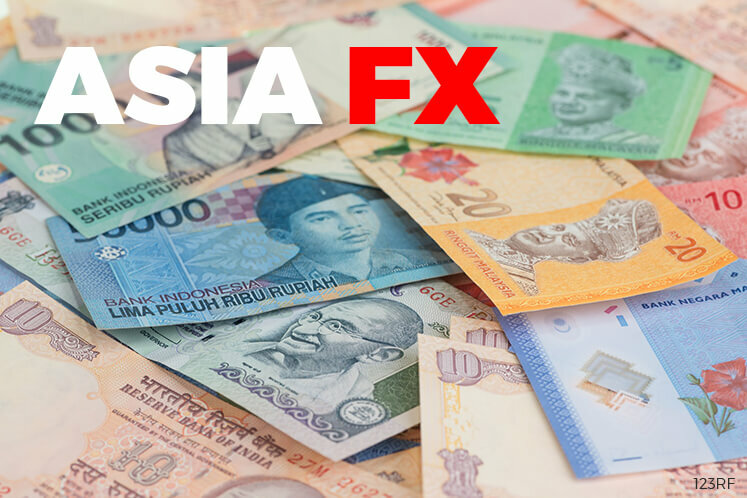 SINGAPORE (March 30): Most Asian currencies edged lower versus the dollar on Thursday, as weakness in the euro helped bolster the greenback, with China's yuan touching its lowest level in nearly a week. The Chinese yuan slipped to 6.8956 per US dollar at one point, its lowest level since last Friday. It later pared its losses and was little changed on the day. Several other Asian currencies edged lower, with the South Korean won shedding 0.4%. The Indian rupee, which has strengthened recently on the back of inflows into Indian assets, touched its highest level since October 2015 at 64.84 per US dollar but later pulled back and was last steady on the day at 64.94. Asian currencies and the dollar now seem to be caught between uncertainty about the outlook for US fiscal policies such as tax reforms on the one hand, and expectations for further Federal Reserve interest rate hikes on the other, said Teppei Ino, analyst for Bank of Tokyo-Mitsubishi UFJ in Singapore. While political factors could weigh on the dollar, the prospects for further Fed rate hikes on firm US economic growth is supportive of the greenback, Ino said. Earlier this week, the dollar had gained a lift after comments from Fed Vice Chairman Stanley Fischer reinforced expectations of more US rate hikes to come. The greenback's firm tone weighed on Asian currencies on Thursday. The dollar touched its highest level since March 21 against a basket of major currencies, with the euro weighed down after sources told Reuters that European Central Bank policymakers are wary of changing their policy message in April. Small tweaks at the ECB's meeting earlier in March had raised expectations of the central bank ending its super-easy policy and eventually raising interest rates. The rupee was boosted this month by foreign investment flowing into Indian assets. Foreign investors have bought a net US$6.91 billion in debt and equities so far this month on hopes of an improving economy and optimism over Prime Minister Narendra Modi's reform process after his victory in the key northern state of Uttar Pradesh. In Indian equities alone, overseas investors are set for their biggest monthly purchases in four years in March, but analysts expect such equity inflows to moderate after a major overhaul of tax rules kicks in on April 1.